And Merchants will be able to sell these + 56 new resources. 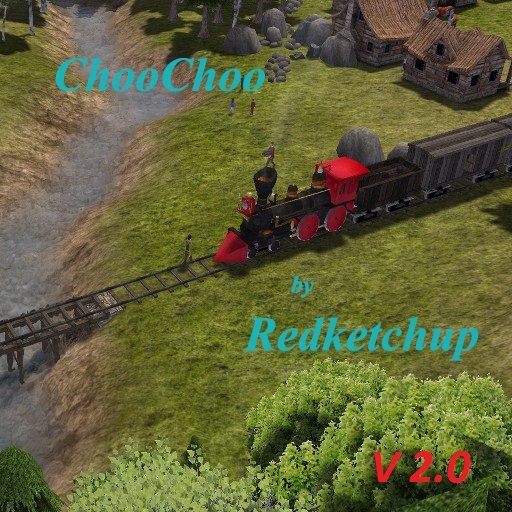 I also added a little gift : Railroad: Covered Bridge. Is the Training Camp and/or NMT required for this mod? I tried to load it and got this error. no, not required at all ! I can load Training Camp fine, and it's 44.2 MB. can you go in video option and make a screenshot ? It might be a couple of hours before I can test. I'm getting ready to put a casserole in the oven, then it will be chow time. Is it possible to fix a small bug with the ghosted canal rail bridge? The piece is not centered on tile. What's really funny is that it also happened in real life! oh ! i can check that !! Hi this is my first post, but I have long been following all your works, thank you very much. You can improve or add anything to this mod yet. Other models of trains and wagons with new features and decorations. Smoked fish made by Tom's smoking shed cannot be sold at all. The worker UI window keeps saying he's working but the station has no materials sign on top. There is no mead option so I can't sell that either. @RedKetchup Any chance you could upgrade this little mod to 1.0.7. with the new flags, perhaps changing the coins to follow Custom6 (precious), adding mead as an export item and making smoked fish universally compatible if possible? Oh, and fixing the ghosted railway bridge to sit on the centre of tile?